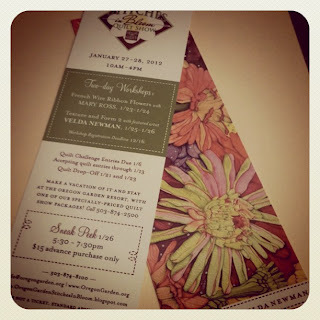 Stitches in Bloom 2014: Book Marks! Our 2012 Stitches in Bloom book marks are in! Look for them in the coming weeks at your local fabric or quilting shop. Featuring art by Velda Newman.